Much of the hype around the Internet of things (IoT) has been directed at consumer products such as devices that monitor your health; or smart homes, where sensors check the temperature in your residence and allow you to adjust it from your smartphone so that conditions are ideal when you arrive. However, IoT also has the potential to fundamentally change the way business is done. That's the view of Denis Bensch, CIO of FlowCentric Technologies, who maintains that when correctly harnessed, IoT's impact on not only productivity but the entire drive towards digital transformation, will be immense, particularly when IoT is integrated with business process management (BPM) systems. "In the past, the cost of gathering data from distributed devices was very expensive and quite complicated to implement. Today, with increased connectivity, in addition to technologies like Sigfox, it has become much easier for the data from these devices to be collected. Combine these evolutions with the advances in data analytics and developments in BPM, and this power is now within reach of every business," he says. According to Bensch, the real power of data is what the organisation does with it and that is where BPM software becomes an important enabler. "Data without action is meaningless," he states. BPM software supports the implementation of digital technologies in many areas of a company, directing data along the appropriate workflows. It's BPM, with its structured approach, that drives the processes on which all businesses run and provides a solid foundation for meaningful digital transformation. When correctly implemented, BPM and IoT have the power to profoundly change how a business operates, while delivering sustainable value to the organisation, its customers and stakeholders. 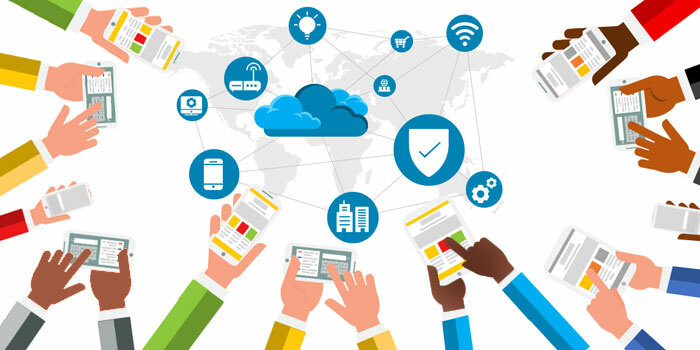 FlowCentric Technologies' experience, however, is that most IoT devices feed their data to a dashboard which then requires the intervention of a user who needs to log in and evaluate the data before appropriate action can be taken. By using a modern BPM system, the process could be automated, with the task automatically assigned to a user based on the data received from the IoT devices. In addition, the system could assign accountability to a user and either send reminders until the task is done, route the task to another user or escalate it to the next person in charge. "This approach streamlines processes, harnesses the power of IoT data and creates accountability," Bensch explains. Think of the impact this would have in a mission-critical situation or a hostile environment such as an underground mine. For example, if air quality monitoring sensors in the mine detect poisonous gasses, the data could be used by a BPM system to start a process that would alert the relevant people to the risk. They would then follow a set process defined in the system to fix the problem. This approach increases the reaction time of personnel and reduces the risk that the mine will be penalised for safety violations. Another example could be a logistics company using IoT devices to monitor the temperature in its cold storage vehicles. In a conventional IoT system, a rise in the vehicle's temperature would be registered by the sensors and the data sent to a computer somewhere. The company would discover the problem when the data is accessed by a user and analysed, possibly hours later when spoilage might already have occurred. However, if the IoT system is integrated with the BPM system, the data could trigger a process: it could contact the driver on their mobile phone to alert them of the issue; it could additionally alert the supervisor back at the office that action may need to be taken before the temperature reaches a critical point and spoilage occurs. Should the data from the sensors indicate the critical point is approaching, the BPM system could automatically trigger a process in which a backup vehicle is dispatched, and the customer is alerted about the delay. "This type of enabling process is also relevant for construction, aerospace, healthcare, defence, government; in fact, any industry with complex operational processes, and particularly those that require control over how and when tasks are approved or completed," Bensch concludes. Is your CIO Optimising your Business?